Who said weddings couldn't be dangerous? When PI Jonas Watcher sees a Chinese couple being kidnapped, he sighs, grabs his gun, and goes to help them. This selfless act involves Jonas with the Chinese underworld. He is hired to unite two families by bringing a prospective bride from St. Louis to San Francisco for an arranged marriage. There are several factions who will kill to keep him from succeeding. His mission is complicated even more by his employer's beautiful granddaughter. She's the only one who knows where the bride is and she insists on going with him. A girl, his Colt 44, and diplomacy: Jonas will have to use all three if he wishes to complete the mission, end the feud, and live to tell the tale. 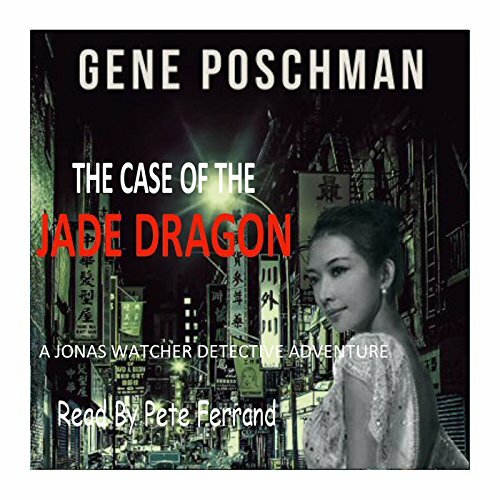 The Case of the Jade Dragon is the third novel of the Jonas Watcher Detective Adventure series. It's the 1930s in San Francisco's Chinatown, where old traditions conflict with the new, and Jonas gets caught up in a world of mysticism, a deadly family feud, and a potential underworld war. Author Gene Poschman brings a new slant to the noir hard-boiled detective by introducing him to a world out of his comfort zone and adding an exotic love interest. Travel by train, plane, and automobile to learn the fate of the Azure Dragon.